Vijay Sai Reddy took potshots at Pawan Kalyan, Balakrishna, Chandrababu Naidu and Nara Lokesh. Satirical Comments made by YSRC National General Secretary has gone viral now. First of all, Vijay Sai Reddy questioned how could Jana Sena, which contributed to the victory of TDP Candidates in 2014 Polls, be treated as Opposition. He accused Pawan Kalyan of offering blank cheque of 175 MLA and 25 MP Segments to Chandrababu Naidu to loot the state. Funny Memes inspired from 'Attarintiki Daredi' were shared by the MP. While Pawan was crying foul over Jana Sena not attaining Opposition Status in one of them, The other one is a satirical take on his behaviour during the meeting with families of Jana Sena Activists who lost their lives. 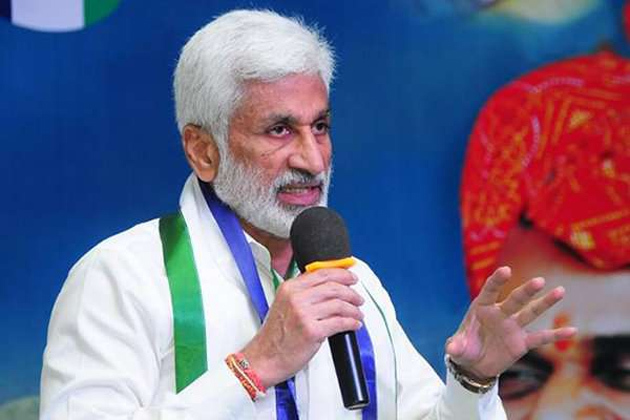 Recalling the report submitted by NIMS to High Court that Balakrishna is mentally unstable, Vijay Sai Reddy opined that Hindupur MLA needs to undergo treatment in Erragadda in future as well pointing out the controversial speeches during campaigning in Telangana. The YCP MP alleged Chandrababu Naidu who spent Rs 1,200 crore for Telangana Polls offered to supply Rs 500 crore more during his meeting with Uttam Kumar Reddy last night. Vijay Sai Reddy questioned where was Chitti Nayudu (Nara Lokesh) who ensured TDP lose deposits in GHMC Polls with his oratory skills. He went on to say Naidu asked his Son not to leave Amaravati fearing Mahakutami will end up losing votes it would get if he campaigns.